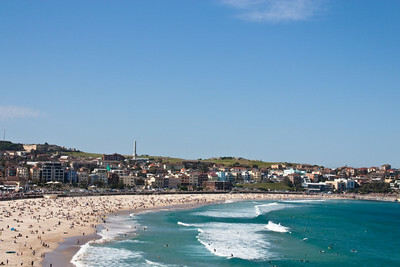 The view from the apartment I rented on Bondi Beach. 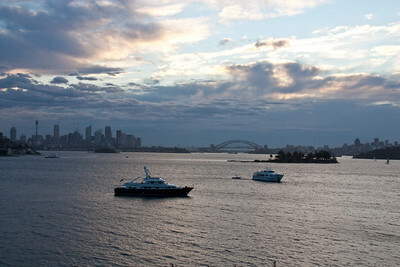 View from Queens Beach of the Harbour Bridge and Sydney skyline on the first night in Aus. 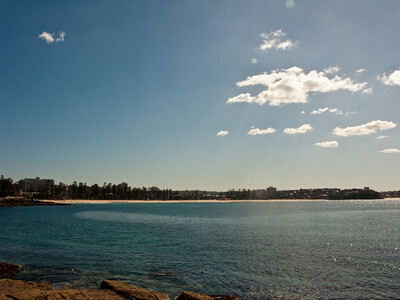 Sydney Harbour Bridge as seen from Queen's Beach -- Shark Island is in the foreground. 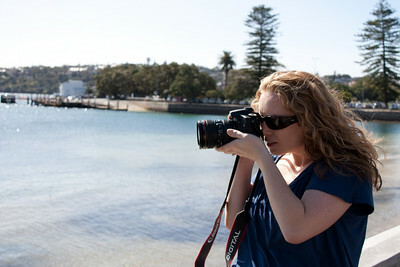 Clodagh taking pictures at Rose Bay. 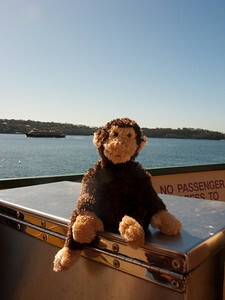 Carl chilling at Rose Bay before taking the ferry into the city. 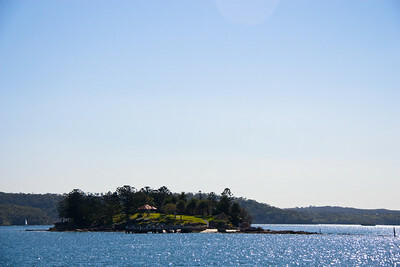 Shark Island as seen from Rose Bay. 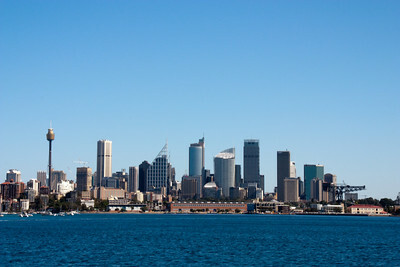 Sydney city skyline as seen from the ferry from Rose Bay. 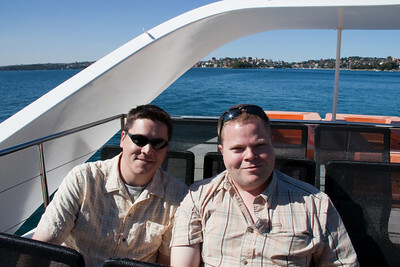 Greg and Carl on the ferry to Circular Quay. 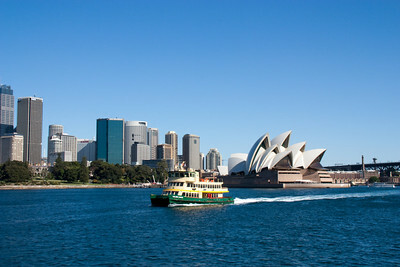 A ferry passing by the Sydney Opera House -- taken while on a different ferry headed to Circular Quay. 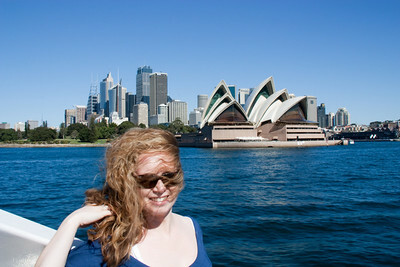 Clodagh unable to control her crazy hair while on the ferry passing by the Sydney Opera House! 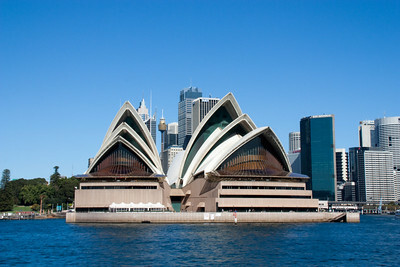 Sydney Opera House as seen from our ferry coming into Circular Quay. 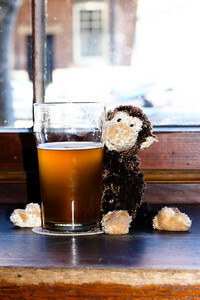 Coogee enjoying a beer at Lord Nelson's brewery. 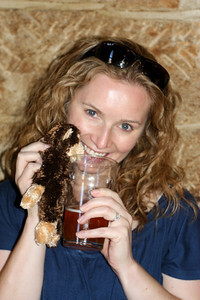 Clodagh giving Coogee a swig of beer at the Lord Nelson's Brewery in Sydney. Clodagh looking cheerful at Jackson's on George (near Circular Quay). 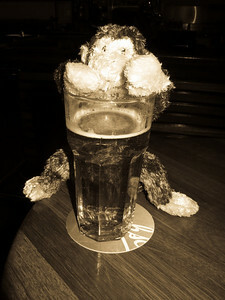 Coogee getting drunk at Jackson's on George (near Circular Quay). 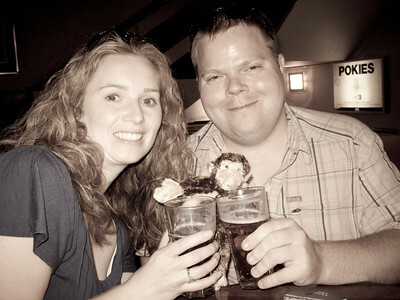 Clodagh, Carl, and Coogee (also known as the three C's) having a good time at Jackson's on George. 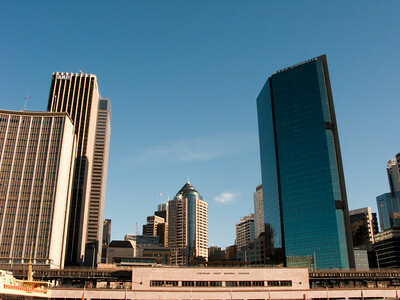 The Circular Quay Railway Station and city skyline as seen from a ferry as sunset is approaching. 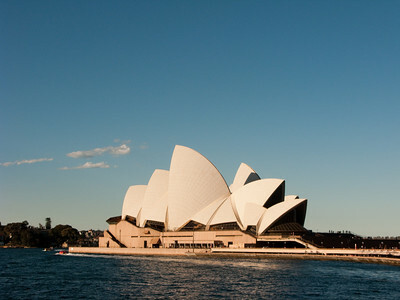 The Sydney Opera House as seen from a ferry as sunset is approaching. 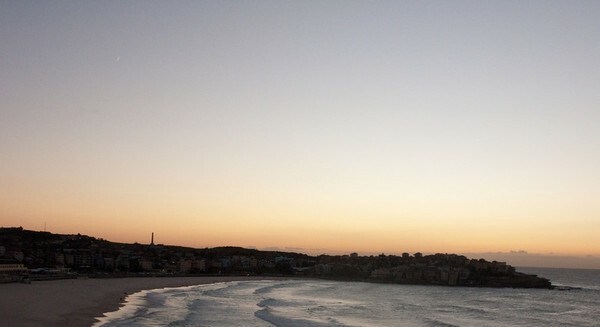 Bondi Beach at sunset as seen from my apartment. 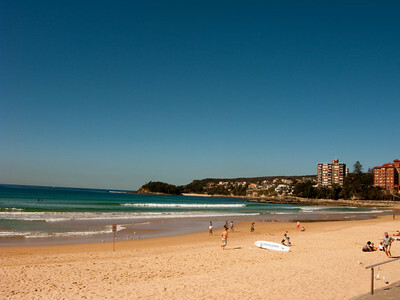 Coogee enjoying the ferry ride to Manly. 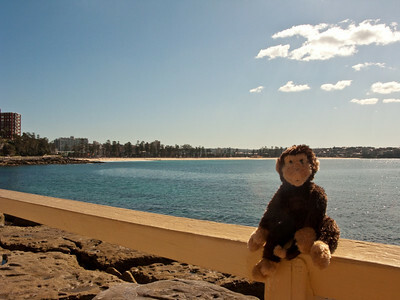 Coogee enjoying the sun with Manly Beach in the background. 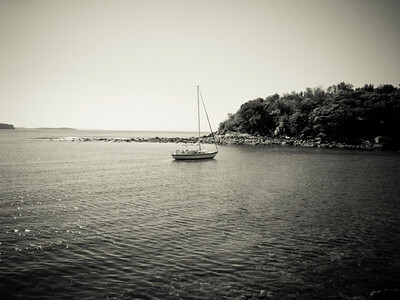 A sailboat chilling in Manly Cove. 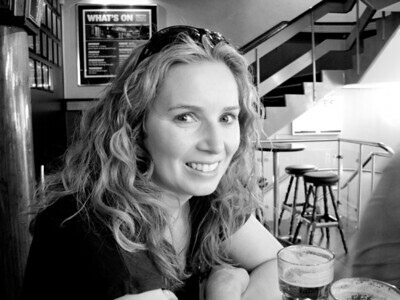 I thought this would look better as a B&W photo - - I tend to like it. 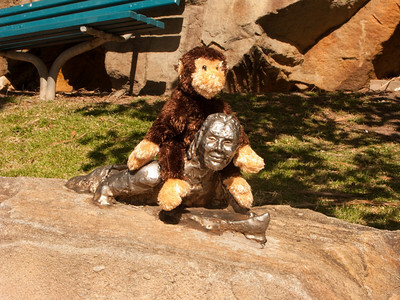 Coogee trying to pickup the local sports -- I don't think he realizes that monkeys can't surf!!! 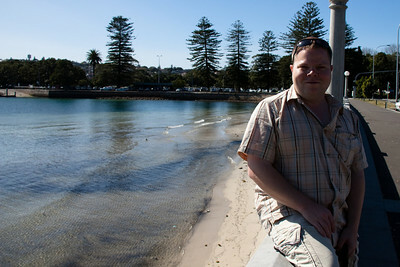 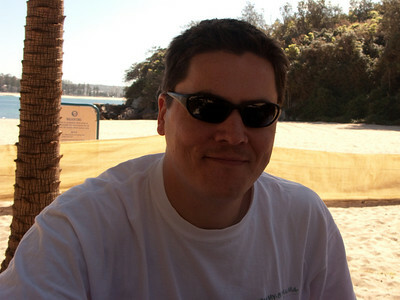 Greg chilling at Manly Cove. 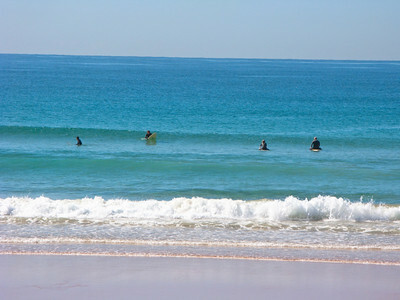 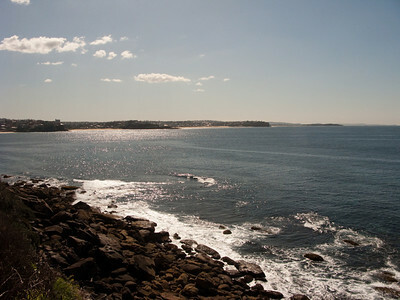 A view of Manly Beach from a distance -- photo taken from the rocks somewhere past Manly Cove.